Holidays to Zambia reveal one of the world's greatest safari destinations. South Luangwa National Park is well-known for its walking safaris and night drives, while the Lower Zambezi is the place for a boat safari amongst elephant, buffalo and waterbuck. With the great Zambezi River forming its southern border, Zambia is a land-locked country wedged in the middle of the geographic jigsaw puzzle of Southern Africa. Up until independence in1964, it was known as Northern Rhodesia - a British protectorate and missionary stronghold. The country is rich is copper mines, which were ruthlessly exported by the British colonists. After the after a turbulent period at the end of the 20th century when the country relied heavily on aid and its foreign debt was one of the highest in the world, Zambia is showing strong signs of recovery. Encouraged by foreign investment and increased copper prices, the World Bank named Zambia one of the world's fastest economically reformed countries in 2010. 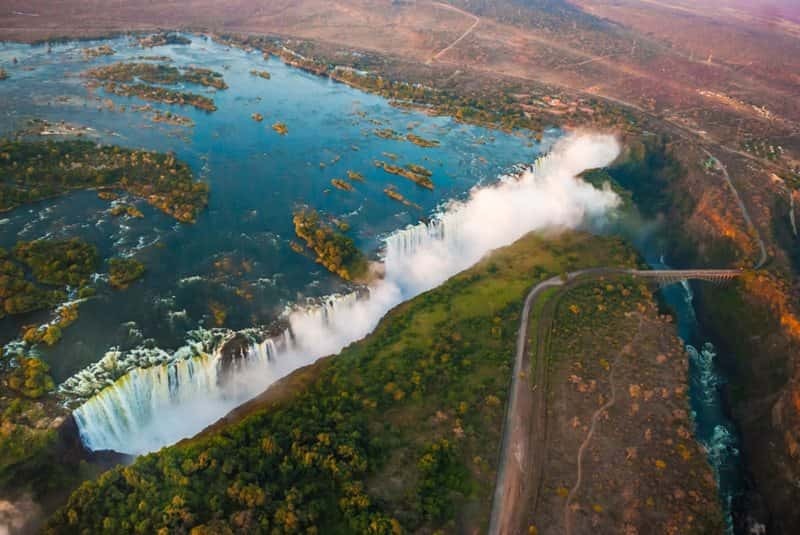 Victoria Falls, where the full force of the Zambezi River plummets over a wide basalt cliff at the astonishing rate of 546 million cubic meters per minute, is its most pulse-racingly famous site. But there are plenty more. The Zambezi River, Africa’s fourth largest, provides countless opportunities for fishing and elephant and antelope watching, as well as adventure sports such as white water rafting, canoeing and even bungee jumping. On Lake Kariba – Africa’s largest man-made dam, you could chill out in the houseboat, whilst Lake Tanganyika – the longest inland sea in the world – is home to a vast array of tropical fish and its clear and warm waters are excellent for swimming.